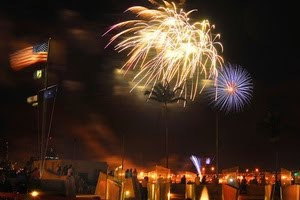 Hau'oli Makahiki Hou from History Education Hawaii, Inc.
History Education Hawaii wishes its supporters, partners, friends and -of course- history educators and historians a festive and safe New Year holiday. As we say in the Islands, "Hau'oli Makahiki Hou!" Our office will be closed for business starting noon, December 31, 2010. We will reopen on Monday morning, January 3, 2011. The old year, with its joys and sorrows, its fluctuations and changes, has vanished into the past, and the sound of its retreating footsteps is lost in the din and hurry of the busy present. It can never be recalled, nor can its record be effaced. Whatever that record may be, in regard to each of our readers, it is sealed up, to remain unopened, till the last great day, for which all other days were made. Let a review of the past make us wiser and better for the future. The New Year opened upon us with a clear sky, and a summer temperature. To the residents from colder climes, the season seemed reversed, and June appeared reposing in the arms of January. But this was all the more fortunate for those who desired to keep up the good New Year custom of calling upon friends, and greeting them with the compliments of the season; and it was improved accordingly. A large number were out, and we have heard of many who made from thirty to forty calls during the day, and a happy custom it is, and one becoming more and more domesticated in the city of Honolulu. Other portions of the community enjoyed themselves in riding, feasting, &c. We have seldom seen the streets more crowded with horsemen than on the first of January, 1852. Everybody seemed to be mounted, and determined on enjoyment. Natives, and foreigners generally, made a holiday of it, and appeared determined to make the first day of the year, at least, a “happy” one. Holidays have their uses and beneficial tendencies. When properly observed, they renew friendship, and break up the tedious round of every-day cares and labors. The mental and physical tone is renewed, and becomes more elastic, under the influence of those social enjoyments, of which social man is so susceptible. In this view of the case, we were pleased to notice the general suspension of business in Honolulu, on New Years’ Day, especially after ten or eleven o’clock, and have no doubt that the recreation thus enjoyed will, very generally, better qualify men for the “battle of life” and its arduous toils, in which they have now fairly commenced another year’s campaign. Western History Association: 2011 Conference. The Western History Association has scheduled its 2011 conference. The theme this coming year is Modern Histories of Ancient Places. The conference will be held at the Oakland Marriott City Center, Oakland, California. It will begin Thursday, October 13 and conclude Sunday, October 16, 2011. Click this link for details. Global Topics, a peer-reviewed electronic journal published by the Sen. Thomas J. Dodd Center for International Affairs and Law, New Hampshire Institute of Politics at Saint Anselm College, is soliciting undergraduate papers for its 2011 issue. In keeping with the Institute’s mission, Global Topics seeks to publish the highest quality of undergraduate writing. The journal will publish articles from all disciplines and from interdisciplinary perspectives so long as they address international, transnational, global, or comparative issues. The current issue of Global Topics is available at this link. Articles written by undergraduates or as the product of collaborative undergraduate / faculty research are welcome. If the article is the product of collaborative undergraduate / faculty research, the student must be the principle author. Further, students who graduated in 2010 are welcome to submit work they completed as undergraduates. For full consideration for the 2011 issue, please submit manuscripts no later than 15 January 2011. There is no formal length requirement, but articles should not exceed 35 pages. Preference will be given to articles that have contemporary international relevance. Submissions should be typed and double-spaced and should adhere to the Chicago Manual of Style. Papers in MLA or other formats will not be considered. Please send submissions as an e-mail attachment (.doc, .docx, or .rtf) to Professor Matthew Masur, faculty advisor for the journal, at globaltopics@anselm.edu. Questions regarding Global Topics should be directed to Professor Masur at the same address. Thanksgiving and Christmas dinners on Navy ships and shore installations provide an excellent snapshot of military food service and life in the Navy. Although today's Navy cooks and bakers are preparing more health-conscious meals for sailors and their families, these menus from 1905 to 1969 provide a nostalgic glimpse for all those who remember a meal with fellow sailors. These menus are part of the Library's collection of holiday menus. History Education Hawaii recommends this story by Brian S. Chi, Naval Historical Center Public Affairs. 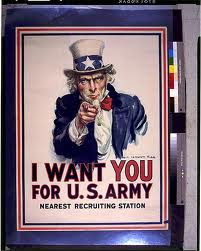 The U.S. Army Center of Military History is soliciting papers for the 26 - 28 July 2011 biennial Conference of Army Historians, to be held in the Washington, D.C., area. This conference is the premiere U.S. Army sponsored training for its historians, both military and civilian. As such, we are very pleased to invite members of the Army Historical Program to both attend and present papers on the 2011 theme of "Armies in Persistent Conflict." Papers may deal with any aspect of military experiences in protracted wars throughout history, including but not limited to: current Overseas Contingency Operations (OCO), the Cold War, Vietnam, the Philippines, frontier conflicts, as well as various constabulary and stability operations. Specific themes that are of particular interest include: force structure and rebalancing during prolonged conflicts, manpower issues in protracted wars, retaining institutional knowledge after extended conflicts, the socio-political and economy consequence of fighting long wars, and armies in domestic disturbances. Presenters should be prepared to speak for 20 minutes. Should the Center of Military History decide to publish the conference papers, the presenters will have an opportunity to submit a formal paper for consideration. Further information on the conference location will be forthcoming on the CAH page on the Center of Military History Website. Update: Colonial Williamsburg: Six More Electronic Field Trip Available for Hawaii Educators! Just before the Christmas break we heard from Dale Van Eck of the Colonial Williamsburg Foundation. He informed up that there are six more $500 scholarships for Electronic Field Trips available for Hawaii history educators. "Spread the word! It’s never too late to sign up, all the resources, including all the video, is online 24/7 until Aug. 31, 2011!" 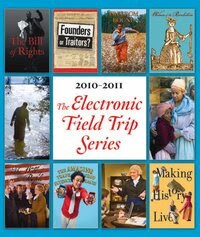 To learn more about these exciting electronic field trips go to this link. 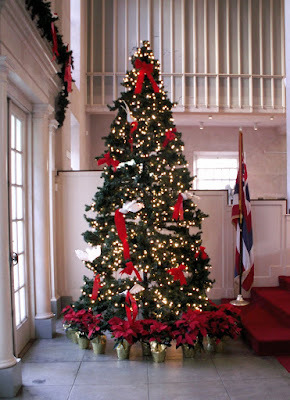 Mele Kalikimaka from History Education Hawaii, Inc.
History Education Hawaii, Inc., extends warm wishes for safe holidays to our friends, partner organizations and colleagues everywhere. We will be closed until Monday, December 27. Please be sure to check in our news-blog for new opportunities for history educators, students, historians and history buffs. As we say in Hawaii, "Mele Kalikimaka!" Merry Christmas! MERRY CHRISTMAS-has returned, and from present indications promises to be quite as merrily kept as any that have preceded it. Old Santa Claus-the good humored saint of fun and frolic, who has always been courted and coaxed here in Honolulu, has this year been severely taxed for his favors, and if he presided on person at all the Christmas trees and gatherings of old and young which occurred last night, his aged limbs will require some rest after the holiday’s fatigue is over. Among the Christmas trees prepared were one at Washington Place, at Judge Robertson’s, at Mr. Brewster’s, at Mrs. Lowell Smith’s, at Dr. Judd’s, at Mr. Varigny’s, besides others. Each had its assemblage of happy and joyful souls, -and each evergreen tree was loaded down with a host of sparkling, tempting gifts of every hue and variety, the very sight of which was a feast making the youthful heart still lighter and lifting the burden of years and of cares from the aged. And he looked like a peddler, opening his pack. And his beard on his chin was as white as the snow. To each of our readers, we wish a MERRY CHRISTMAS, and trust it may be one of many more to follow. We thought our readers might be amused by the following story published in the Thursday, October 9, 1862 edition of Honolulu’s Pacific Commercial Advertiser. Education costs are certainly a major issue, but as our readers will note it is nothing new. This story focuses on the cost of education in California in 1862. “The price of board in the Oakland College School, including washing and lights, is $7 per week; tuition is from $4 to $6 per month – making for 40 weeks –the school year- $320 and $340 per year as the prices, according to age, etc. “Vacation expenses are not reckoned, as it is expected, and is preferable, that boys should be home during vacation. Funded by the U.S. Department of Education, Teachinghistory.org is designed to help K-12 history teachers access resources and materials to improve U.S History education in the classroom. The Center for History and New Media at George Mason University designed Teachinghistory.org with the purpose of placing teaching strategies, community building, history content, current research and issues, and easy access to resources all in one central place. One of our goals is to bring together the different communities that are involved in the effort to improve history education. In addition to online resources, Teachinghistory.org also offers a free biannual print newsletter, History Education News, as well as monthly e-newsletters and a classroom poster on historical thinking skills. The National Humanities Center (NHC) has announced its newly-added seminars for its Spring 2011 Online Professional Development Seminars. These are designed for teachers of history and literature. History Education Hawaii strongly recommends these affordable online enrichment seminars for Hawaii educators, historians, history buffs and students. The cost is $35 per seminar. Please email Assistant Director of Education Programs Caryn Koplik at ckoplik@nationalhumanitiescenter.org for special pricing and further questions. Robert A. Ferguson, Columbia University and NHC Fellow. The Art and Politics of the Harlem Renaissance. Kenneth R. Janken, UNC-CH and NHC Fellow. Steven F. Lawson, Rutgers University and NHC Fellow. The Car and the City: Popular Culture in the 1920s. Henry Binford. Northwestern University and NHC Fellow. Witches and Communists: The Crucible and the Cold War. Edward J. Balleisin. Duke University and NHC Fellow. A list of assigned readings will be made available prior to each seminar. Assigned texts will be provided free and online by the National Humanities Center, mostly from its Toolbox Library and TeacherServe web sites. The National Humanities Center, located in North Carolina's Research Triangle Park, is the country's only independent institute for advanced study in all branches of the humanities. Since 1984, it has been offering rigorous, content-based professional development programs for high school teachers. Hawaii history teachers, historians and history buffs will be pleased to hear that the December 2010 of History Now has been published. History Now is a free quarterly online journal for history teachers and students published by the Gilder Lehrman Institute. This final edition of 2010 provides readers with the latest interpretations of the Civil War era by four leading historians. These essays remind readers that this as we approach the sesquicentennial of the Civil War this critical period of the nation’s history deserves reexamination and refocus. Go to this link for ‘Lincoln’s Interpretation of the Civil War’ by Eric Foner. Go to this link for ‘The Underground Railroad and the Coming of War’ by Matthew Pinsker. Go to this link for ‘The Riddles of Confederate Emancipation’ by Bruce Levine. Go to this link ‘Women on the Home Front: New Civil War Scholarship’ by Catherine Clinton. Note that Gilder Lehrman’s web site features more than thirty podcast lectures on the Civil War and President Lincoln. This edition also features lesson plans for high school, middle school and elementary school classrooms, suggested resources and much more. Gilder Lehrman also provides access to all previous issues of History Now at this link. History Education Hawaii strongly recommends these educational resources for use in Hawaii classrooms and for the sheer enjoyment of history. We strongly encourage Hawaii K-12 history teachers to apply. Time's running out for the February 12, 2011 deadline! Each summer in Lincoln’s hometown of Springfield, Ill., 50 teachers from public and non-public schools are accepted as program Fellows. Attendees receive unparalleled behind-the-scenes access to educational resources and historians at the Abraham Lincoln Presidential Library and Museum (ALPLM). This program is jointly sponsored by the ALPLM and the Horace Mann Companies (NYSE:HMN) which provide insurance, annuities and other financial solutions to teachers and other educators. The program covers the cost of round-trip transportation, as well as lodging and meals while in Springfield. Fellows will tour New Salem State Historic Site where Lincoln lived as a young man, the Lincoln Home, the Old Illinois State Capitol where Lincoln made his “House Divided” speech, the Lincoln-Herndon Law Office, and Lincoln’s Tomb. Attendees will broaden their knowledge of the Sixteenth President through lectures, workshops and group discussions. The 2011 program will accept 25 teachers for the June 19-24 session and another 25 for the July 10-15 session. Teachers may select their preferred session date. Special activities are in the works to mark the 150th anniversary of the beginning of the Civil War. To apply click this link today! Concord Review: "No HS Scholars Need Apply"
Today, The Boston Globe published the latest in a long series of special "All-Scholastics" 14-page (12x22-inch) supplements on good local high school athletes from a variety of sports. These celebrations are produced three times a year (42 pages) with lots of pictures and little bios and lists of all-stars from the Boston area. Again this Fall, there was no room for any mention by The Boston Globe of any noteworthy academic achievement by local students at the high school level. Christiane Henrich of Marblehead HS, in Marblehead, Massachusetts, wrote a 7,360-word Emerson-prize-winning history research paper on the quality (good for the day) of U.S. Civil War medicine. It was published in the only journal in the world for the academic papers of secondary students...No room in The Boston Globe for that to be mentioned. She is now at Stanford and doesn't mind, but I mind about all the Boston-area students who are fed a constant diet of praise for athletic achievement by their peers and at the same time are starved of any and all news of the academic achievements of their peers. In fact, over the years I have published a good number of exemplary history papers by high school students from the Boston area and they did not and do not get mentioned in The Boston Globe, nor do the academic achievements of our high school students in foreign languages (e.g. National Latin Exam, etc. ), AP subject tests in Calculus, Chemistry, European history or in any other field, receive any notice from the Globe. International competitions reveal that we are below average in Reading, Math and Science. Perhaps we should just explain that we don't care about that stuff as much as we do about swimming, soccer, cross-country, football, golf, field hockey, and volleyball, because achievement by our high school students in those efforts are what we really like to pay attention to, (not that academic stuff), at least when it comes to The Boston Globe. The Boston Globe (and its subscribers) are, in this way, sending a constant stream of clear messages (42 pages at a time in supplements, not to mention regular daily columns on HS sports) that in Boston (The Athens of America) what we care about is kids doing well in sports. If they do well in academics we don't think that is worth mentioning. Sick, sad, and self-destructive, but there we are. The National History Club has published its Fall 2010 newsletter. It is available via the home page. Click this link. Back issues are also available. The Fall 2010 edition features an article by Joe Petrowski, CEO of Cumberland Gulf Oil Group; a special offer for history clubs from Making History II: The War of the World; information about the National Council for History Education's annual conference; and highlights from 30 chapters all over the country. History Education Hawaii, Inc., has learned that the Gilder Lehrman Institute is seeking nominations for National History Teacher of the Year. Do you know an outstanding K-6 teacher passionate about American history? All Social Studies and elementary educators who teach American History are welcome. The National History Teacher of the Year Award provides $10,000 to the best American history teacher. The national winner is chosen from outstanding teachers in each state, district, and U.S. territory. State winners receive $1,000 and an archive of books and other resources for their school. The award is sponsored by the Gilder Lehrman Institute, Preserve America, and HISTORY (The History Channel). Nominations for the National History Teacher of the Year can be made by a student, parent, colleague, supervisor, or other education professional familiar with the teacher’s work. In 2011, the Gilder Lehrman Institute will honor a teacher of grades K-6. Middle and high school teachers are honored every other year. You may also contact the Gilder Lehrman National History Teacher of the Year coordinator at nhtoy@gilderlehrman.org or via phone at 646-366-9666 x28. This five-week National Endowment for the Humanities Summer Seminar for school teachers, directed by Dr. Gerard M. Koot, University of Massachusetts Dartmouth, will investigate how a region of northwest Europe, centered on the North Sea, acquired the characteristics that historians have labeled modern. We will study how the economy of the Dutch Republic rose to preeminence in the new European world economy of the seventeenth century, how Britain acquired this supremacy in the eighteenth century, and how it transformed itself to become an industrial nation. The seminar will meet at the Institute for Historical Research at the University of London for the first week and at the Netherlands Institute for Advanced Studies in Wassenaar (near The Hague) for four weeks. NEH will provide a stipend of $3900 toward expenses. For an application and a full explanation of the seminar, go to this link. For a mailed copy, contact Sue Foley, sfoley@umassd.edu or call 508-999-8301. For further information, write Gerard Koot gkoot@umassd.edu or call 508 994 3145. Don’t miss the fun at Mission Houses Museum for the next three Saturdays! Bring your friends and family and enjoy a variety of activities, food, crafts, and more . . .
Mission Houses Family Fair, Saturday, November 20, 9 a.m to 4 p.m.
Local crafts and family games, pony rides, sack races, and more. Kama‛āina Family Day, Saturday, November 27, 10 a.m. to 3 p.m.
Honolulu City Lights & Chili Dinner, Saturday, December 4, 4:00 p.m. Experience a Hawaiian family fair with local crafts and flavors of an early 19th-century New England-style country fair. Something for the whole family, with craft tents, lauhala demonstrations, farm animal petting zoo, pony rides, pie contests, sack races, wheelbarrow races, butter churning, and ice cream making. Parking available at Kawaiaha‛o Plaza for $3. Take a family tour, hear a story, try out historical activities, or make something to take home. This is the last month to experience Kama‛āina Family Day, offering a themed experience for everyone in the family. Activities from 10:00-3:00 p.m. with story time at 12:30 p.m. Half price admission for tours and activities; $2.00 for activities only, tour not included. The conductor pauses, waiting for the coughing to die down before he raises his baton. The surgeon looks over her team, making sure all are in place and ready to work, before she makes the first incision. The prosecuting attorney pauses to study the jury for a little while before making his opening statement. All these highly trained people need certain conditions to be met before they can begin their vital work with the necessary confidence that it can be carried out well. If the audience is too noisy, the conductor must wait. If the team is not in their places, the surgeon will not begin. If the members of the jury have not been examined, the attorney will not have to present his case before them. Only schoolteachers must start their classes in the absence of the calm and attention which are essential to the careful exchange of information and ideas. Only the schoolteacher must attempt the delicate surgery of attaching knowledge and removing ignorance, with no team to help. Only schoolteachers must accept all who are assigned to the class, without the benefit of the peremptory challenges the attorney may use to shape his audience, and give his case the benefit of the doubt. The Sanskrit word for a teaching, sutra, is the source of the English word, suture, and indeed the stitching of learning to the understanding in young minds is a particularly delicate form of surgery. The teacher does not deal with meat, but with ideas and knowledge, attempting to remove misconceptions and provide truth. The teacher has to do this, not with one anaesthetized patient, and a team of five, but with twenty-five or thirty students and no help. Those who attend concerts want to be quiet, so that they and their fellows can hear and appreciate the music. Those who come in for surgery want the doctor to have all the help she needs and to have her work under the very best possible conditions, because the outcome of the operation is vital to their interests. The legal system tries to weed out jurors with evident biases, and works in many ways to protect the process which allows both the prosecution and the defense to do their best within the law. The jury members have been made aware of the importance of their mission, and of their duty to attend and to decide with care. Students, on the other hand, are constantly exposed to a fabulously rich popular culture which assures them that teachers are losers and so is anyone who takes the work of learning in school seriously. Too many single parents feel they have lost the power to influence their offspring, especially as they become adolescents, and many are in any case more concerned that their youngsters be happy and make friends, than that they respect and listen to their teachers, bring home a lot of homework, and do it in preparation for the serious academic work that awaits them the next day. Students are led to believe that to reject authority and to neglect academic work are evidence of their independence, their rebellion against the dead hand of the older generation. We must of course make an exception here for those fortunate children, many but not all Asian, who reject this foolish idea, and instead apply themselves diligently to their studies, grateful for the effort of their teachers and for the magical opportunity of 12 years of free education. But what they see as a privilege worthy of their very best efforts, many other students see as a burden, an wanted intrusion on their social and digital time of entertainment. A study of the Kaiser Foundation last year found that the average U.S. student spends more than six hours each day with some form, or combination of forms, of electronic entertainment, and the Indiana Study of High School Student Engagement studied 80,000 teenagers and found that 55% spent three hours or less each week on their homework and still managed to get As and Bs. We hear stories about the seriousness of students in China and India and South Korea, but we are inclined to ignore them, perhaps as the Romans discounted rumors about the Goths and the Visigoths until it was too late. We hear about our students doing more poorly in international academic competitions the longer they stay in school, but we prefer to think that our American character and our creativity will carry us through somehow, even as we can see with our own eyes how many of the things we use every day are "Made in China." Part of the responsibility lies with our teachers in the schools, overburdened and unappreciated as they are. Their unions fight for better pay and working conditions, but say nothing about their academic work. Teachers, too, like lawyers, should demand peremptory challenges, so that they can say they will not be able to teach this one and that one, without damaging the work of the whole class. They, as much as the surgeons who are cutting meat, must be able to enforce close attention to the serious work of suturing learning and minds in their classes. And like the conductor, they must be given the attention that is essential if the music of their teaching is to be heard and appreciated. Teachers who do not demand these conditions are simply saying that their academic work is not important enough to deserve such protections and conditions, and as a result, parents and students are encouraged to see it in the same light. Word has come to History Education Hawaii that the deadline for the 2011 Gagnon Prize, sponsored by the National Council for History Education, has been extended to December 1, 2010. Paul Gagnon was the first Executive Director of the National Council for History Education (NCHE), after having served as Chief of Staff, Editor, and Principal Investigator for its predecessor organization, the Bradley Commission on History in Schools. Gagnon loved and respected history teachers, identifying their work as essential to the maintenance of a democratic society. He was adamant that all students have the opportunity to learn the story of their country and the world. Gagnon fought tirelessly for standards and frameworks for history that identified a core of history that could be taught in the time available and cautioned against curricula that are too encyclopedic to be taught, or too vague for students to understand. The 2011 Paul Gagnon Prize will be presented to a K-12 history teacher who exhibits exceptional historical scholarship. The National Council for History Education will notify the winner before January 10, 2011. For more information on applying, please go to this link and submit your nomination today. This year’s program highlights the rich thematic diversity that has come to characterize contemporary American history writing and teaching. Sessions will include plenaries on the origins of the Civil War and the anniversary of September 11, 2001, a discussion of the Texas textbook controversy, the Gulf oil spill, and a remembrance of the Triangle Shirtwaist Factory fire. Workshops will focus on American history at the community college level and oral history. The meeting’s host city will provide opportunities to visit the Menil Collection (including the famous Rothko Chapel), Space Center Houston, historic Galveston, and the San Jacinto Monument, one of the finest examples of art deco architecture in the United States. The OAH Book Exhibit features the latest U.S. history offerings and gives attendees a chance to exchange ideas with representatives from major American history monograph and textbook publishers. To learn more and to register go to this link. Hawaii history educators, historians and history buffs are strongly encouraged to attend. We'd like to remind Hawaii history educators, historians and history students of the 125th annual meeting of the American Historical Association (AHA). For more information on registration, the program and more go to this link.